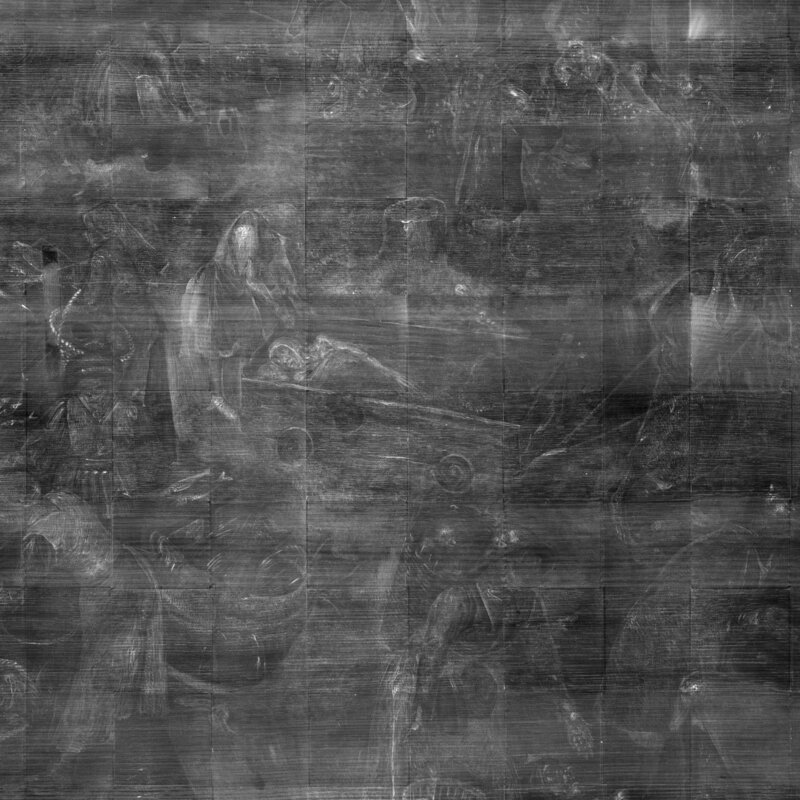 THE MODERN WONDERS of infrared macrophotography, infrared reflectography, and X-radiography have offered new insights into the works of 16th-century Dutch artist Pieter Bruegel the Elder. Pieter Bruegel the Elder, c. 1525–1569, renowned member of a large and important southern Netherlands family of artists. 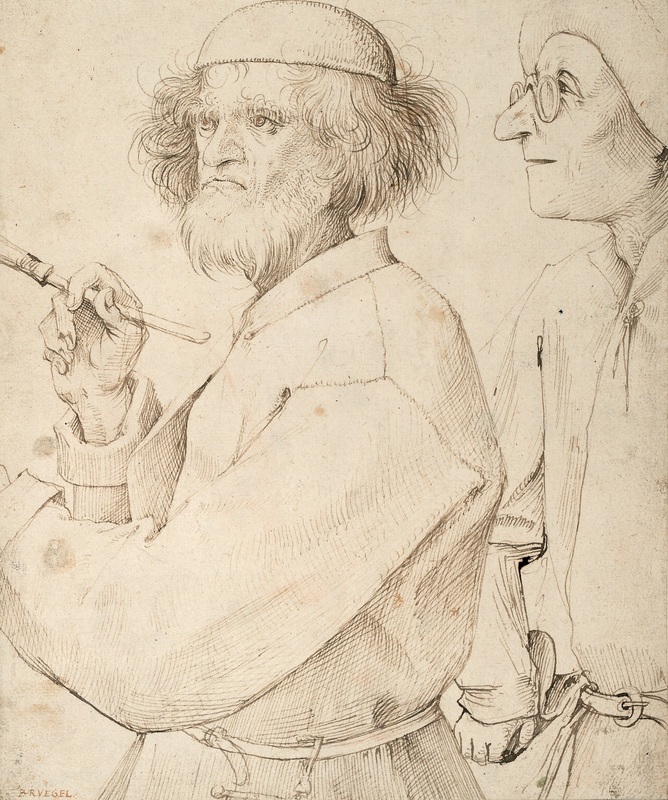 Image of The Painter and the Buyer, c. 1565, possibly a Bruegel self-portrait. “Peeling Back the Paint to Discover Bruegel’s Secrets,” by Nina Siegal, The New York Times, November 23, 2018, gives details of this 21st-century analysis of the “Peasant Bruegel,” as Bruegel the Elder came to be known in distinguishing him from other painters in the family. Unlike many other artists in the Dutch Golden Age, Bruegel the Elder painted no portraits, instead concentrating on everyday scenes. 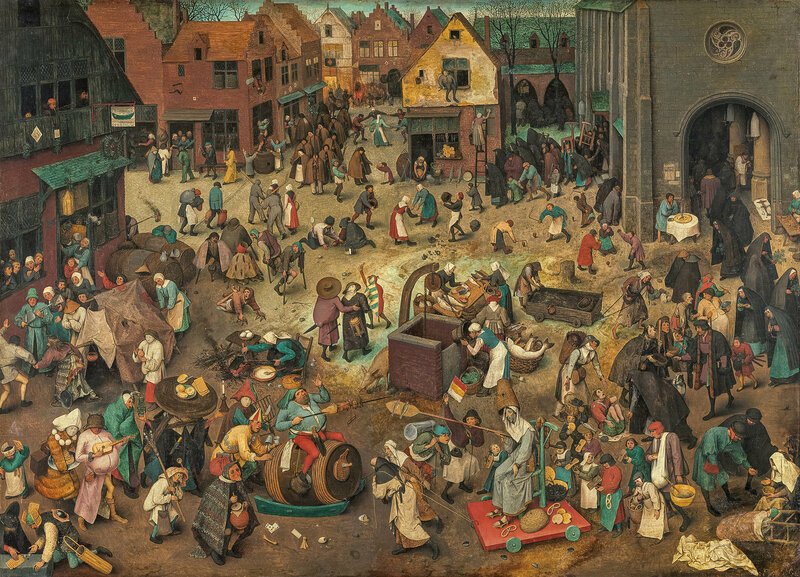 The Battle Between Carnival and Lent, 1559, by Pieter Bruegel the Elder. This and the following images from The New York Times, November 23, 2018. 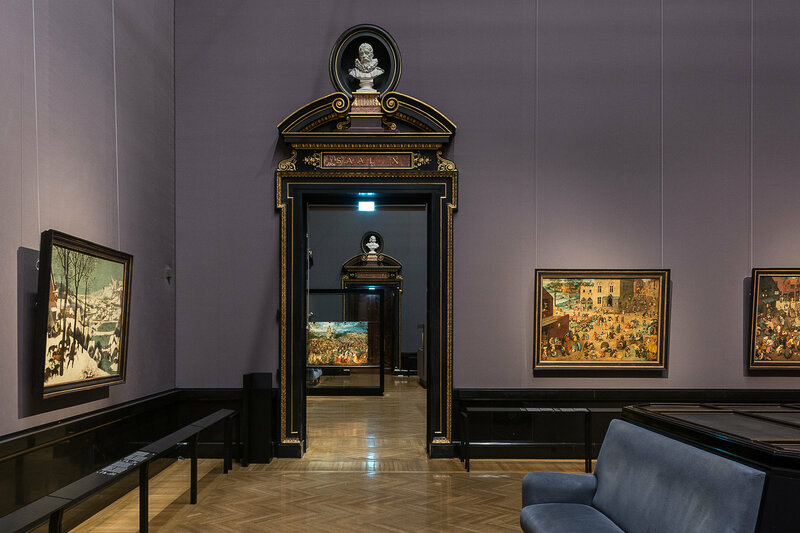 She observes, “New imaging technology created by a project known as ‘Inside Bruegel,’ offers some insight into these questions by allowing us to pull apart the painting’s layers.” This technology is part of “Bruegel,” a major exhibit at Vienna’s Kunsthistorisches Museum, running through January 13, 2019. 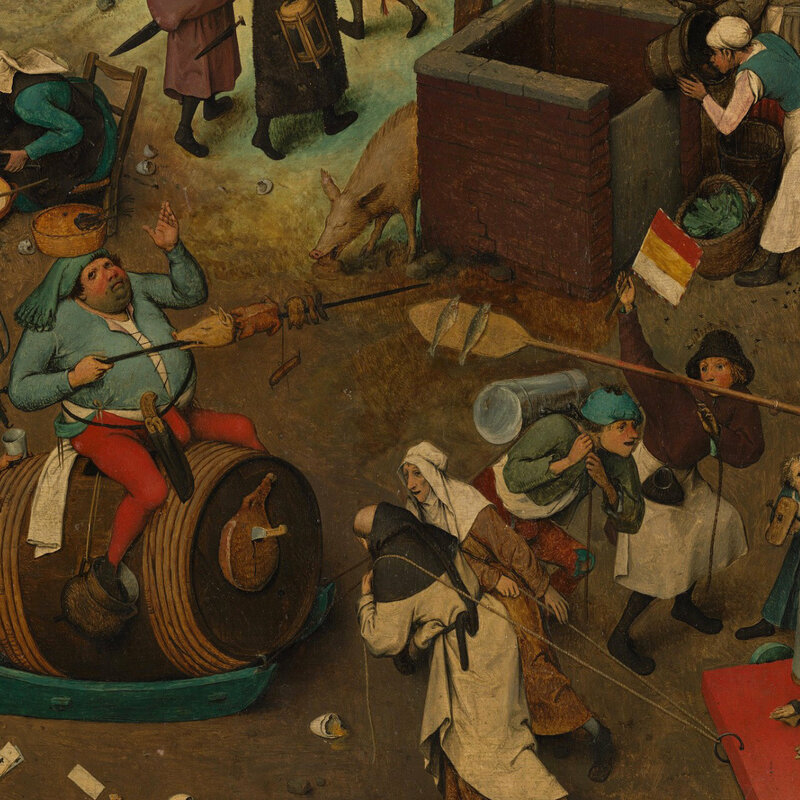 “Bruegel” at Vienna’s Kunsthistorisches Museum celebrates the 450th anniversary of the artist’s death. It brings together 87 of his works, nearly two-thirds of his artistic output. And, sometimes, he—or even someone else years later—would paint over details. From a Cross to Fishes. For example, in the lower middle of The Battle Between Carnival and Lent, there’s a carnival-goer holding a roasted pig on a spit who confronts a penitent offering traditional Lenten fare, a pair of fish. In a detail above, carnival’s roasted pig contrasts with Lent’s pair of fish, symbolic of Christ. Below, examined under infrared reflectography, an earlier version of the painting shows only a simple cross, not the fish. An Elusive Corpse. At the central right of The Battle Between Carnival and Lent, a woman drags a wagon containing a basket. But X-radiophotography reveals a more gruesome earlier version. Above, the wagon is sans corpse. Below, in the X-radiographic image, a corpse is seen. 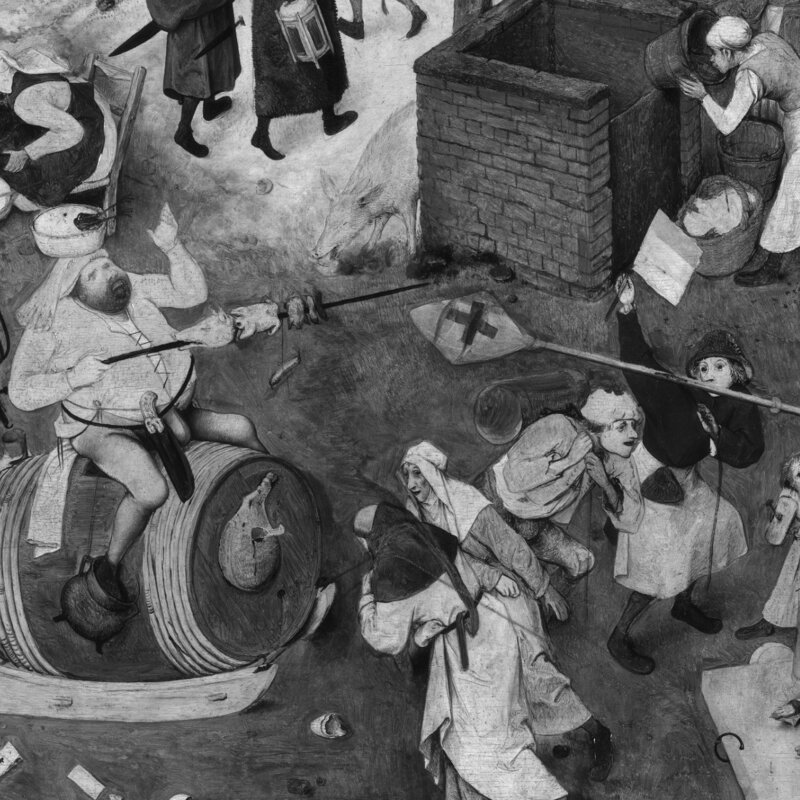 It’s not clear whether the elusive corpse was Bruegel’s doing or a later alteration reflecting cultural or political sensitivities of the time. An Interactive Approach. 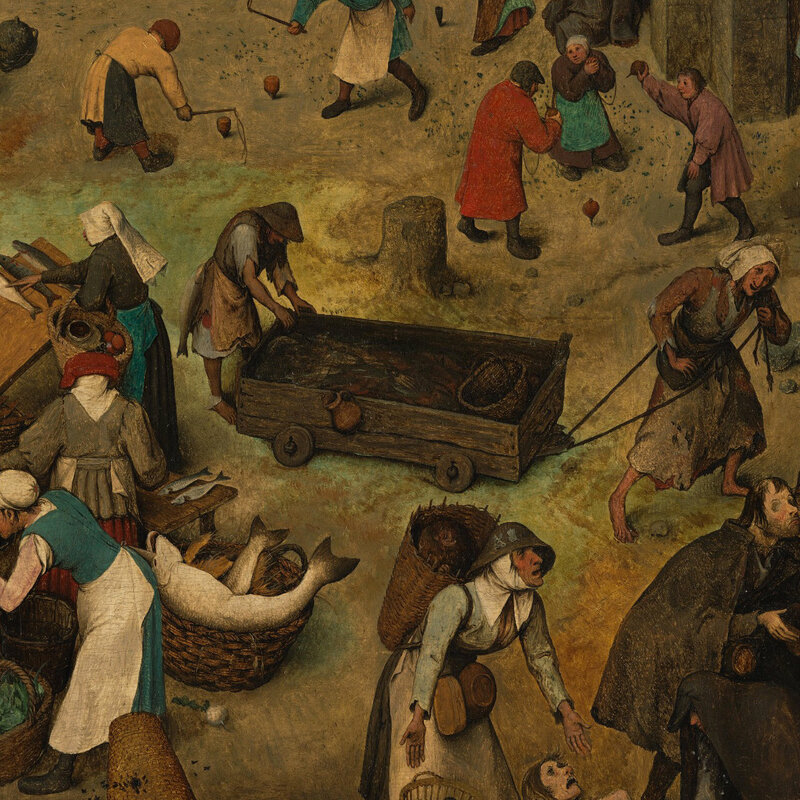 The website Inside Bruegel.net offers us the opportunity to play art historian/technologist. Thirteen of his works are shown, including The Battle Between Carnival and Lent, 1559; The Tower of Babel, 1563; Peasant Wedding, 1567; and ten others. 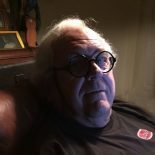 Each can be studied in four different views, macrophotography (i.e., the standard view), infrared macrophotography, infrared reflectography, and X-radiography. Check out the front guy (red shirt) carrying the tray of food. That’s why he’s so stable. This entry was posted on December 3, 2018 by simanaitissays in And Furthermore... and tagged "Bruegel" at Vienna's Kunsthistorisches Museum, "Inside Bruegel" online, "Peasant Wedding" Bruegel the Elder, "Peeling Back the Paint to Discover Bruegel's Secrets" Nina Siegel "The New York Times", "The Battle Between Carnival and Lent" Bruegel the Elder, "The Tower of Babel" Bruegel the Elder, art infrared macrography and reflectography X-radiography, Bruegel shroud was ?, elusive corpse in Bruegel painting, fish not cross in Bruegel painting, modern electronic analyses of Bruegel works, Pieter Bruegel the Elder.